Congratulations to our Client AwesomeBox for their feature on Manhattan Digest! AwesomeBox is an entirely new way to give a truly memorable surprise gift. With great ease, a group of friends and family can produce a unique box set of custom printed cards. 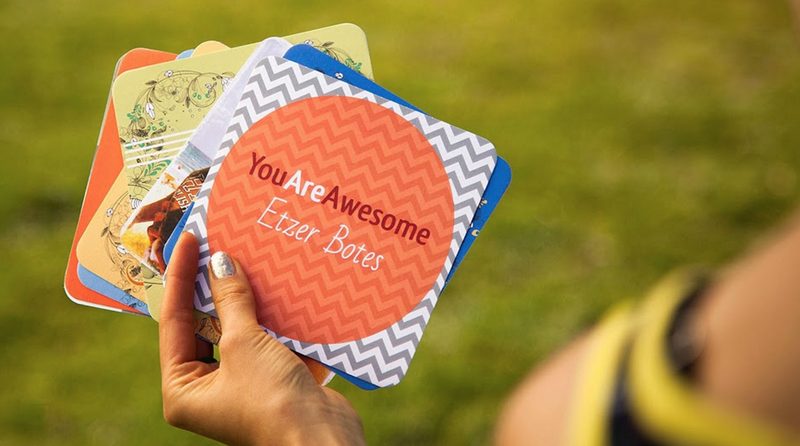 Each 5.25x 5.25â€ card features a photo on the front and personal message on the back. Great for holidays, birthdays, milestone events or just because. Cards can be displayed, shared, and saved as special keepsakes. AwesomeBox is â€œsocial-by-design” â€” both online and offline. Itâ€™s fun to see all the photos and messages come together in a virtual surprise party! Once delivered, cards can be passed around, talked about, laughed and cried over, shared with friends, and even framed on a wall or placed on a coffee table for display. The collection of cards becomes a time capsule of favorite cherished memories. Check them out at awesomebox.com!